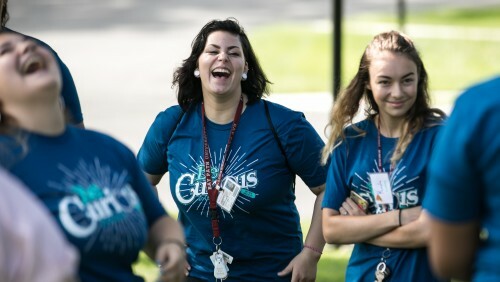 For Bay Path University’s first-year and transfer students, August is a landmark month, when new students are busy with their transition to college life. 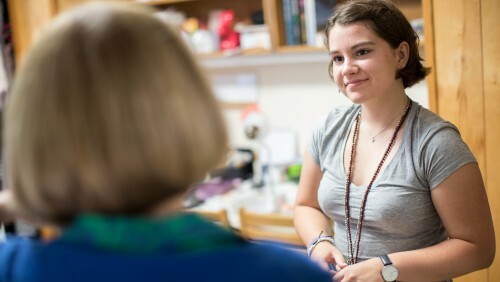 Some participated in the University’s Academic Learners & Leaders Initiative (ALLI), designed to bridge the gap between high school and college through an expanded and revitalized orientation that includes academic coursework, enrichment activities, and relationship-building. 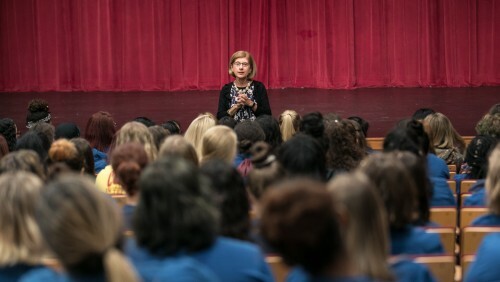 ALLI culminated on August 21, 2018, this year with an interactive presentation, open to the campus community and friends. 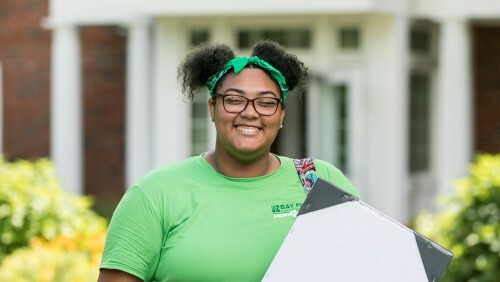 The following morning, the rest of the Class of 2022 residing on campus, as well as new transfer students and a number of commuter students, descended upon Deepwood Circle to move their belongings into the residence halls. 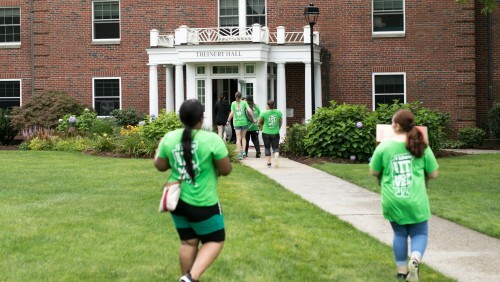 Despite stormy, humid weather, the campus was buzzing with the excitement of new beginnings. 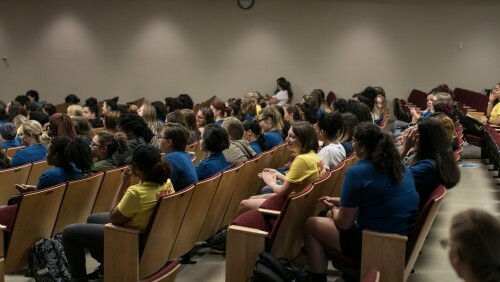 Later that afternoon, with boxes unpacked, bedding unfurled, and decorations hung, students and their families attended workshops and presentations that signified the first community events of the University’s WELLcome Week. 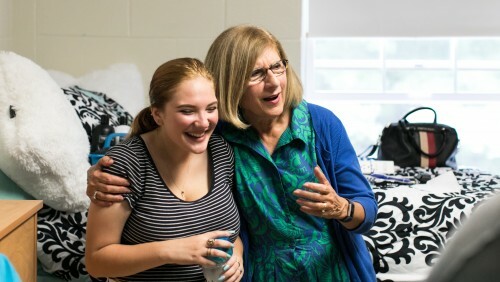 This program serves to establish the foundations for connection, preparation, and transition to college life and learning for students, their families, and champions. 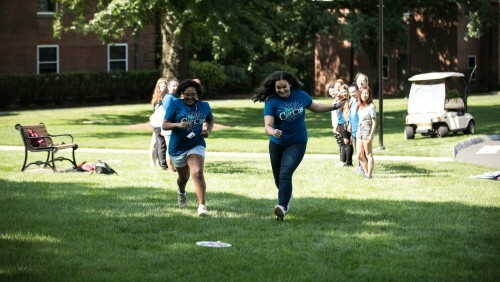 The five-day schedule was packed with fun activities and insightful information sessions. 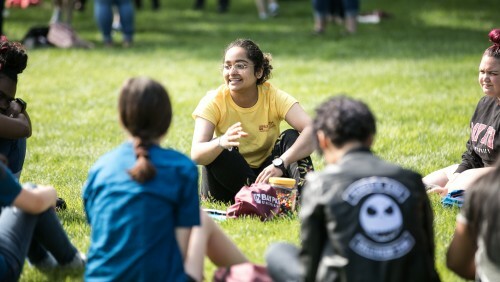 This year, the program included ice-breaker games outdoors in beautiful, sunny weather; an introduction to WELL, our signature Women as Empowered Learners and Leaders program; an evening of comedy; wellness breaks for yoga, open art studio, nature walks and more; and plenty of opportunities to meet and connect with other students, faculty, staff, administrators, and President Carol Leary, who not only provided formal remarks to the group, but also joined them for lunch, dinner, and even helped to carry their belongings into their residence hall rooms during move-in. 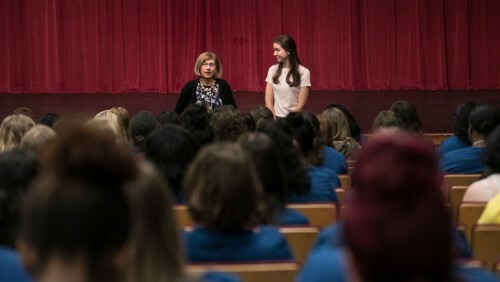 New students participated in diversity and inclusion training with consultant Liza Talusian, offered through our WELL program. 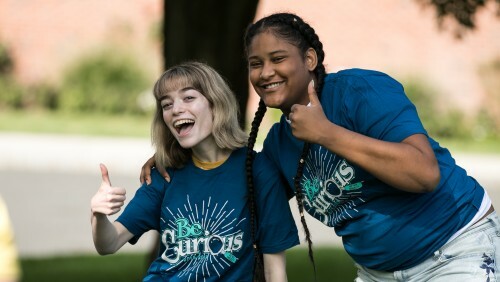 The University’s WELL peer mentors also attended an exclusive training with Talusian last week and were joined by a group from Springfield Honors Academy, part of Springfield Public Schools, in an effort to develop their own peer mentor program. 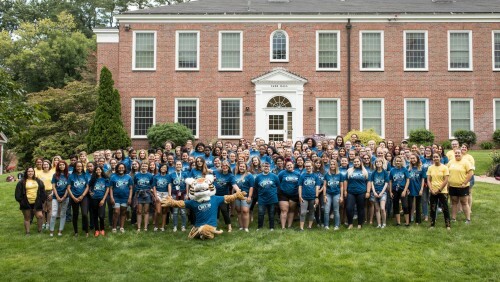 This partnership between Bay Path and SHA will be ongoing, as professor Courtney Weber's WEL400 students will be working with the SHA Principal, Grace Howard Donlin, and administrator Christine Johnson to provide additional support and leadership development during the fall semester. In the spring, WELL Peer Mentors will work with these students as part of their own leadership development. WELLcome Week drew to a close in the wee hours of the morning on Monday, August 27, with a beloved Bay Path tradition: Campus Awakening. During this sunrise gathering, the campus community gathers together to usher in the first day of classes. 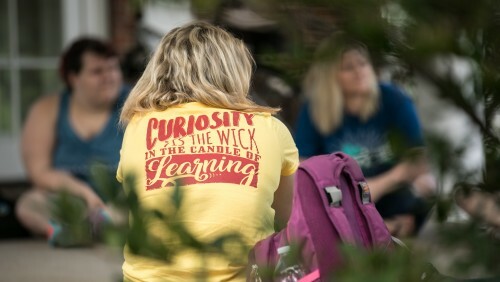 (Read more about this year’s Campus Awakening). Check out the slideshow to see some of the highlights from WELLcome Week 2018!